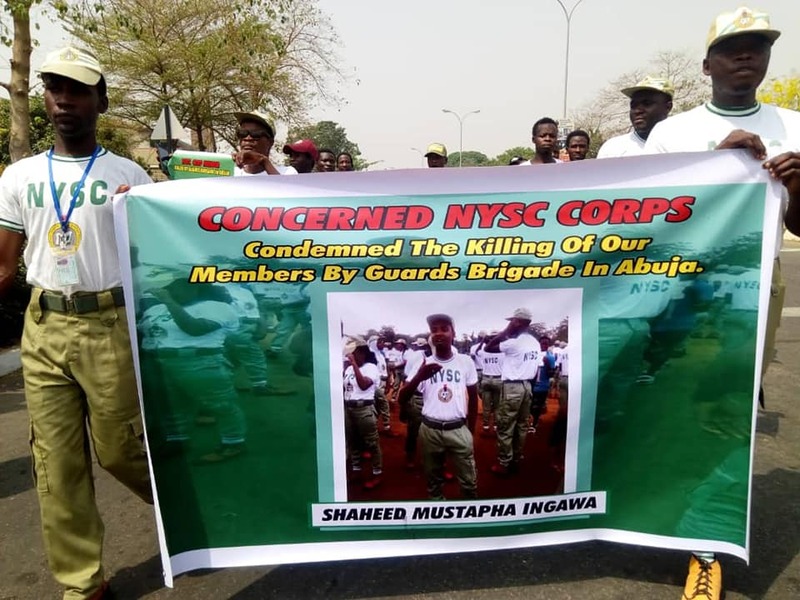 to express their concerned over the brutal killing of one of their core members, Mustapha Ingawa, who was killed by the Guards Brigade of National Police on 27th October, 2018 in the city of Abuja, while participating in a peaceful annual religious march. 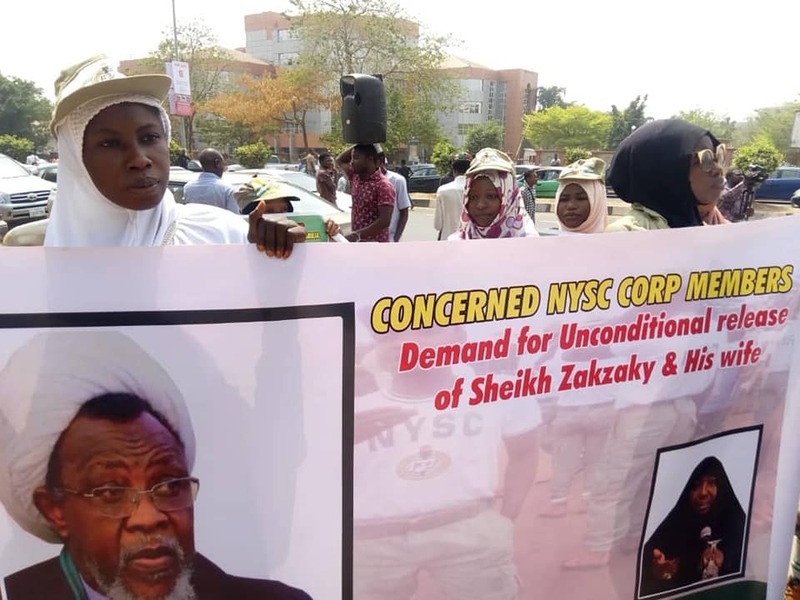 In a paper submitted to the NHRC officials by a core member, Sulaiman Alhassan, acknowledged that, Mustapha Ingawa, is a graduate of B. Sc. 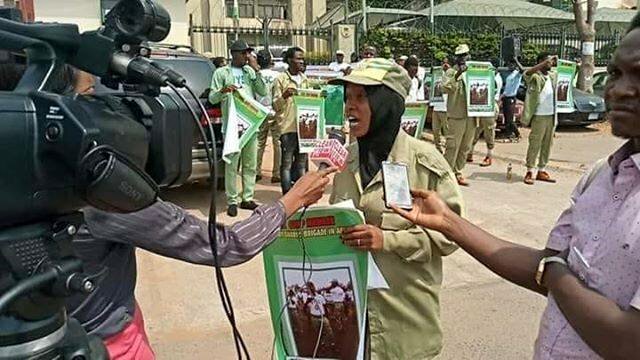 Business Administration and until his death, he is a serving core member under National Youth Service Corps Scheme. 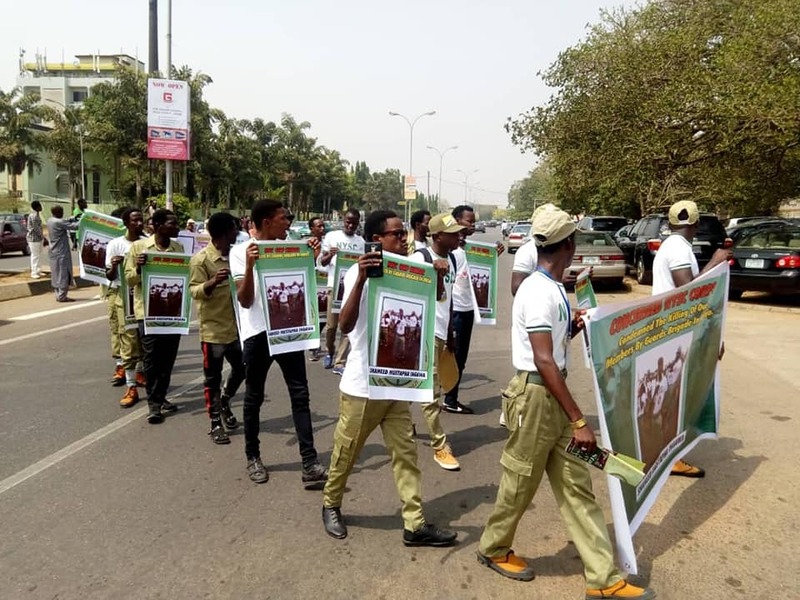 The representative core member at the protest march, Sulaiman Alhassan, addded that, "Mustapha Ingawa was arrested alive and mercilessly tortured to death by a combined Military and Police security apparatus. 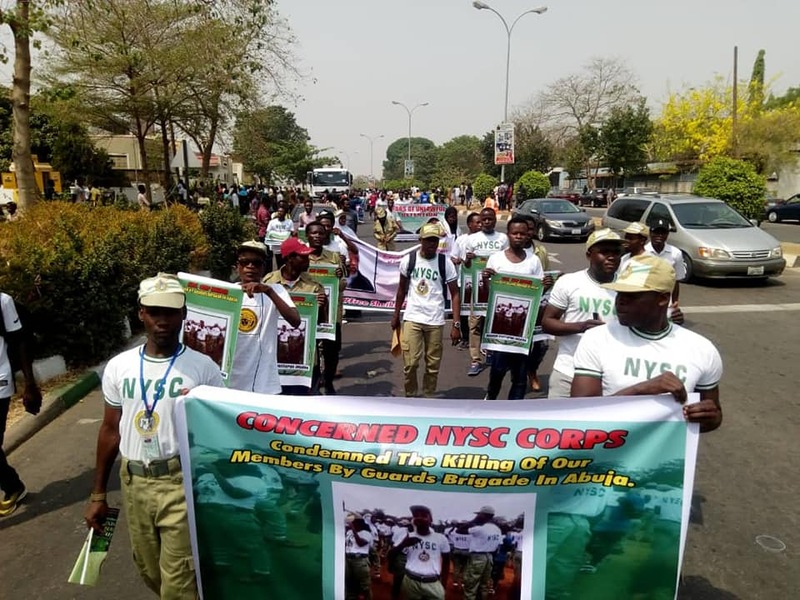 When his corpse was handed over by the Abuja Police division, it has no sign of gun shut, but noticeably believed to have been tortured until death". 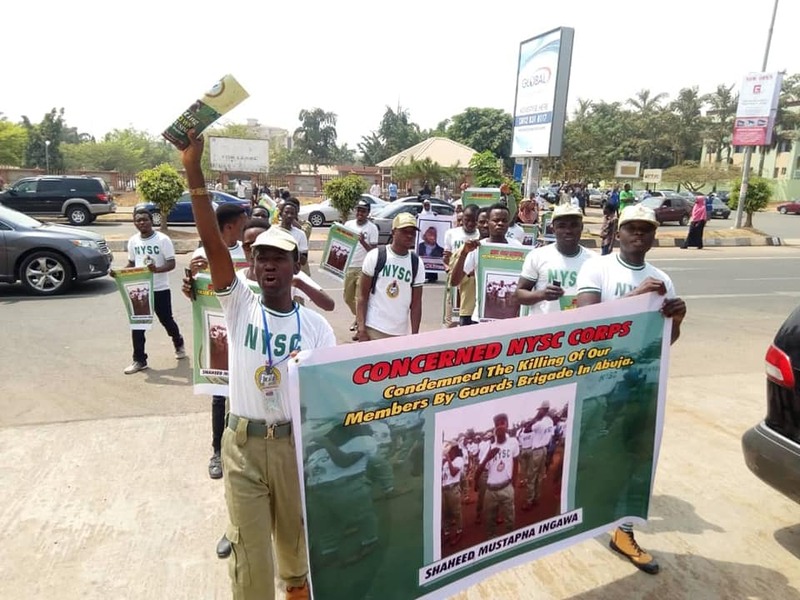 In an interview with Press men at the premises of NHRC, the core members have in a unison, condemned the killing of Mustapha Ingawa, therefore, requesting the National Human Right Commission to take a decisive action over such brutality. 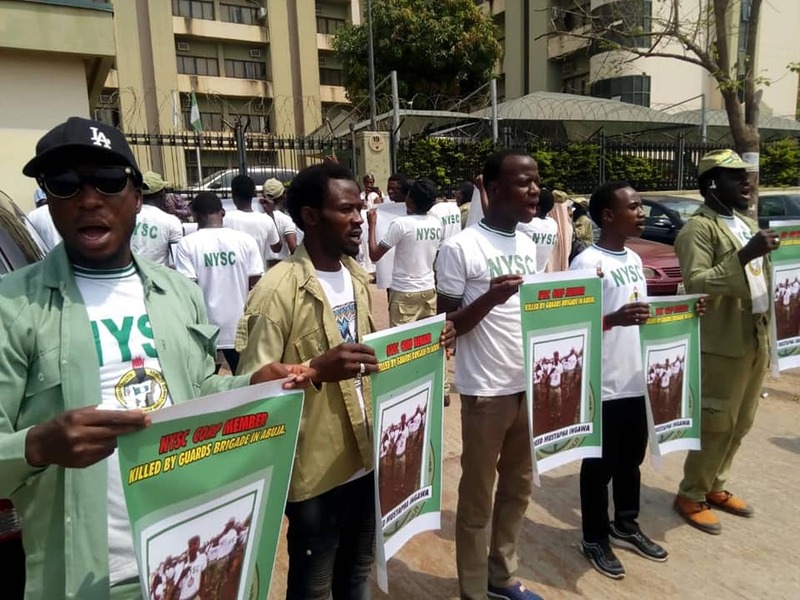 The group also seek redress for this atrocity and also for the protection of rights of other faithful members of the Islamic Movement, Nigerians, that are protesting against injustice and violation of human rights in Nigeria. 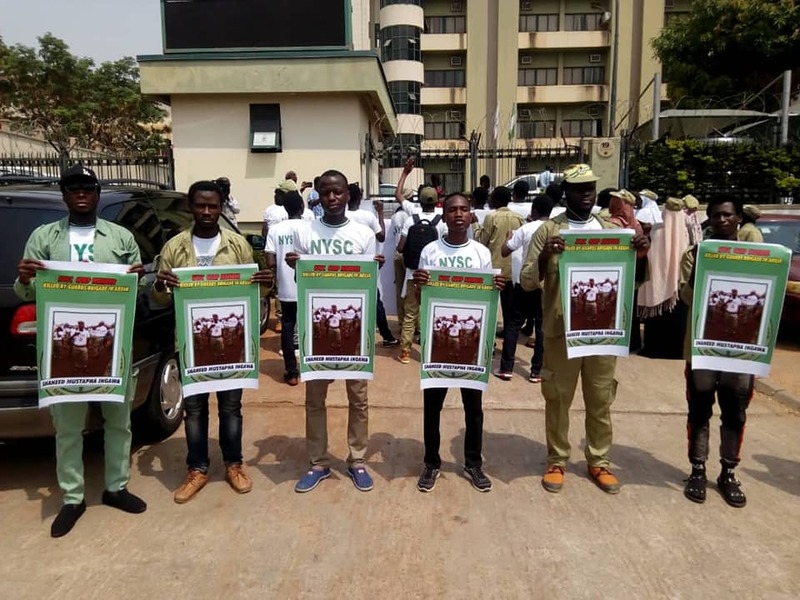 According to the core members, "It is pertinent to state that innumerable of NYSC core members who are disciples of Sheikh Ibraheem Zakzaky(H) are currently serving in various capacities under the NYSC Scheme. Some of us are serving in various Schools including institutions owned by the Military. 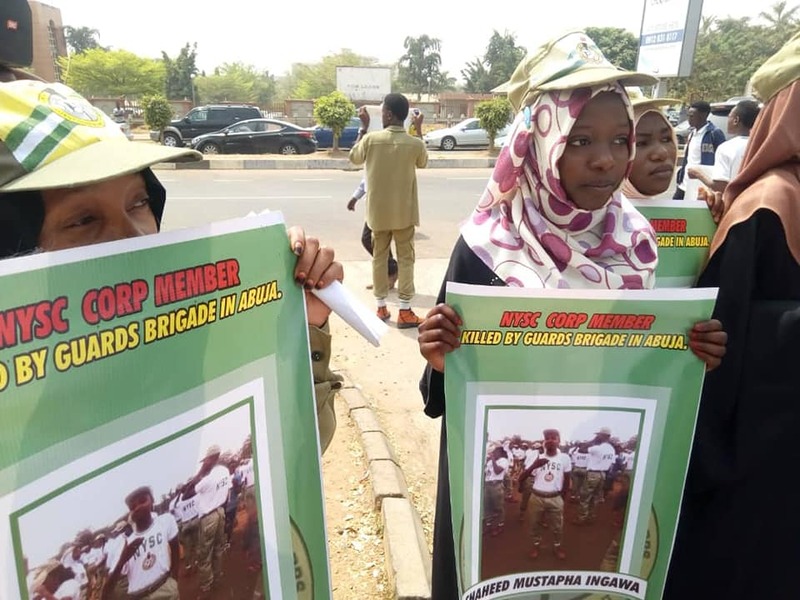 While we are busy discharging our duty to the best of our ability in imparting knowledge to their children, the Military and Police agents are busy killing our brothers". 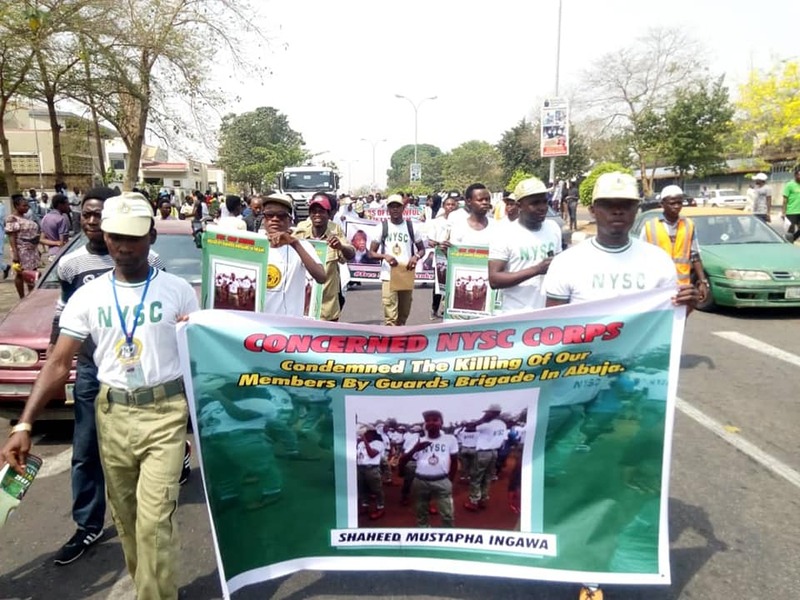 The group also well and truly lambasted the Nigerian Military and Police security agents for killing about 50 of their faithful brothers and sisters including underage in a combined oppression using sophisticated weapons that were not supposed to have be used in public gathering, rather should have been used any alternative means of dispersing the gathering. 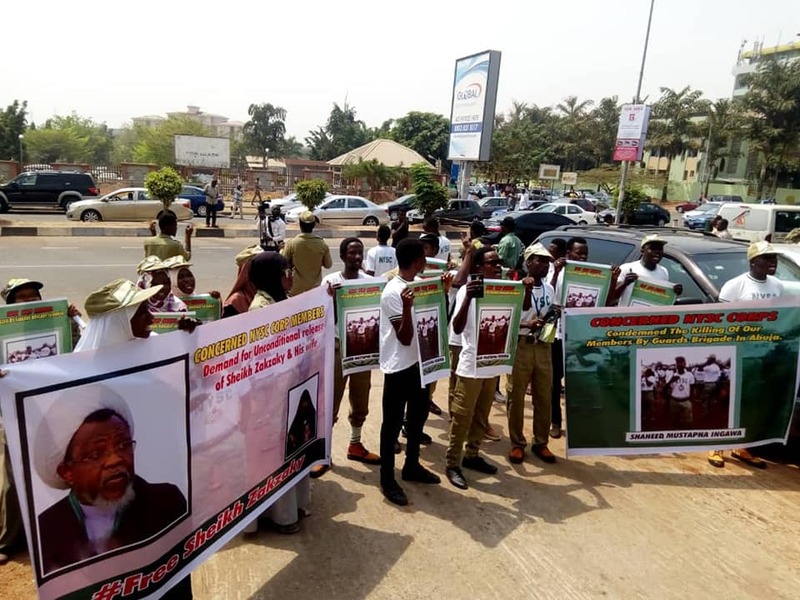 Eventually, the core members pledged to continue protesting for their rights and to the freedom of their leader, Sheikh Zakzaky, who had been in illegal detention for more than 3 years despite a federal court order to release him and his poor state of health which needs urgent medical attention. Mustapha Ingawa passed away leaving behind a two-year old son and a wife.